Have you ever had problems with your headphones while in the middle of your drumming session? Well, most of us can correlate with that issue, and there’s a perfectly logical explanation“why”. First of all, some headphones were simply not meant to be used for drumming. Namely, the low-end, non-studio headphones will eventually point out the problem for you, as they can’t match the performance and reliability of studio headphones. Secondly, only certain types of headphones will be able to snuff out the excess noise. We’re talking about studio headphones, of course. Now, electronic drums are quite different, but the problem you had with your acoustic drums remains. If you’re out of ideas, and you desperately need some, we offer you a list of the best headphones for electronic drums, along with detailed reviews, benefits, and potential flaws for each model, so just kick back and browse away. The first item in our list of the best headphones for electronic drums are Westone’s UM Pro30 Triple Driver earphones. Now, the looks of UM Pro30 can deceive you, as these headphones look quite plain and straightforward. Anyhow, the first impression you’ll get after using them for the first time will easily override that picture. Namely, Westone’s UM Pro30 Triple Driver earphones are remarkably reliable, they boast a high level of performance and they excel in pretty much every field worth valorizing. They’re not cheap, though, but the price is literally the only downfall, as they belong to the “expensive” price point category. The UM Pro30 headphones feature 3 high-performance drivers, one for low, one for mid, and one for high. Additionally, these drivers feature a 3-way crossover, substantially boosting the overall performance. The estimated frequency of response is in the range between 20Hz and 18kHz, while the impedance is 56 Ohms at 1kHz. You’ll get your Westone’s UM Pro30 Triple Driver earphones in a beautiful black box which features printed specifications and information on the front, sides, and back. Furthermore, the complimentary features include the replaceable cable, a set of comfort tips, a mini monitor, and a cleaning tool. For more about Westone UM Pro30, check out customer reviews on Amazon. 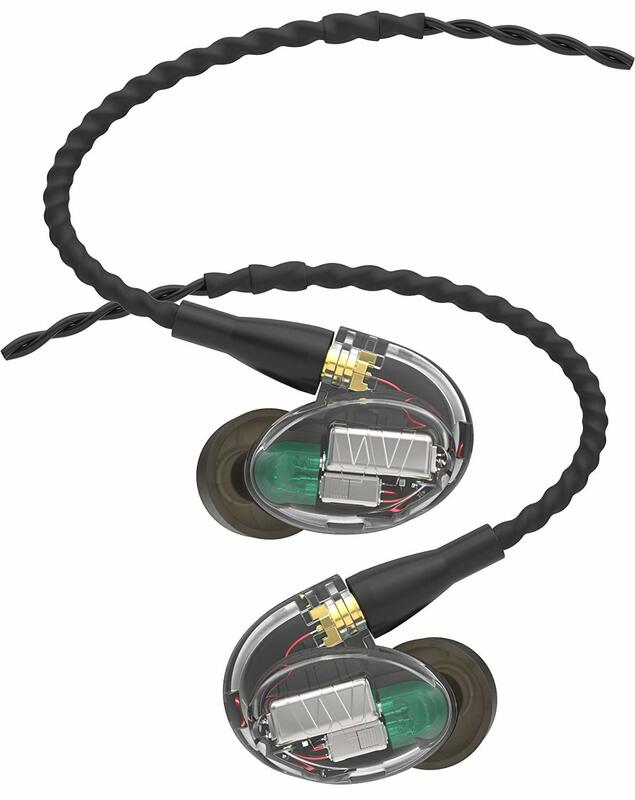 Overall value rating of Westone’s UM Pro30 Triple Driver earphones is 98/100. Simply put, these headphones are one of the best headphones for electronic drums. They excel in various fields of performance, they boast a high price to value ratio, and they’re easy and comfortable to use. JBL’s Synchros S500 stereo headphones are extraordinary, to say the least. Aesthetically, they look quite amazing, as they feature a beautiful construction and an innovative pattern design. Overall, they’re very comfortable to wear, and they boast a high-performance sound due to premium-quality drivers and hardware. 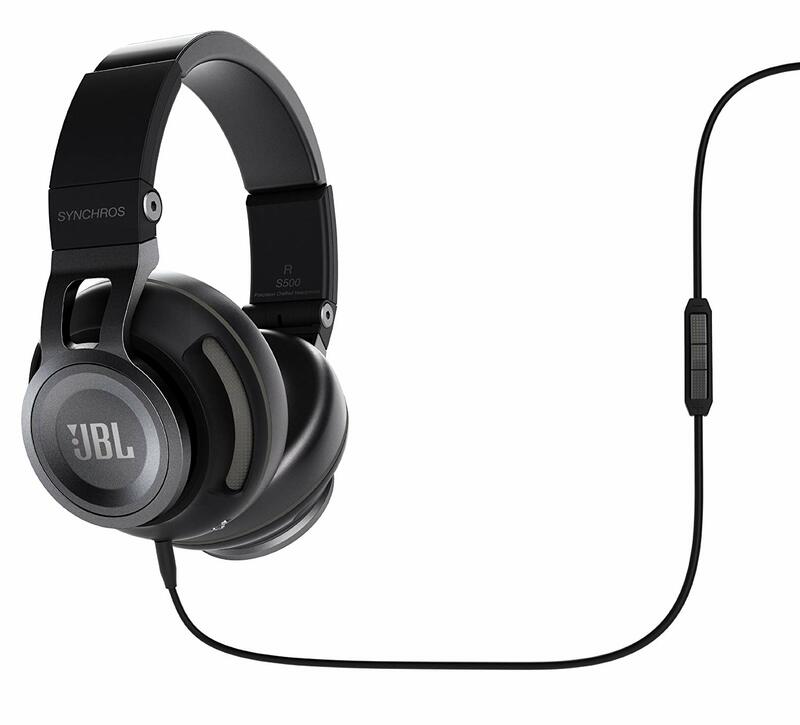 First of all, JBL‘s Synchros S500 stereo headphones are outfitted with a steel headband design, surrounded with a set of durable leather cushions that allow for superior comfortability. Furthermore, they’re supplied with a set of 50mm drivers that is absolutely ideal for V drums. Combined with the “Pure Bass” technology, you can expect nothing short of perfection, that much is guaranteed. The soundstage is balanced, being comprised of a majestic combination of deep bass, bright & crispy highs, and decently accentuated mids. Apart from that, there’s the “Live Stage Signal Processing™” feature which allows for realistic, full-spectrum sound delivery. Needless to say, your v-drummingexperience will find another term for quality once you get accustomed to these babes. For more about JBL Synchros S500, check out customer reviews on Amazon. Roland is one of the world-class leaders in the music industry, and, if you’re into electronic drums, you might already know that the “V drums” is their creation. Anyhow, they make all kinds of premium-quality music gear, including superb studio headphones. A great representative of their masterful craftsmanship is Roland RH-300V headphone set, a pair of V-drum specialized stereo headphones. They’re durable, supremely reliable, beautiful, and you can expect quite a lot in terms of performance. Roland RH-300 headphone set features an extended frequency of response, and a wide dynamic range, allowing for a superior music experience. On top of that, the design is pretty interesting. It features a convenient head strap that’s outfitted with a soft cushion for maximum comfort. The closed-back design isn’t purely cosmetic, as you’ll have a pleasurable experience while you use them. For more about Roland RH-300, check out customer reviews on Amazon. 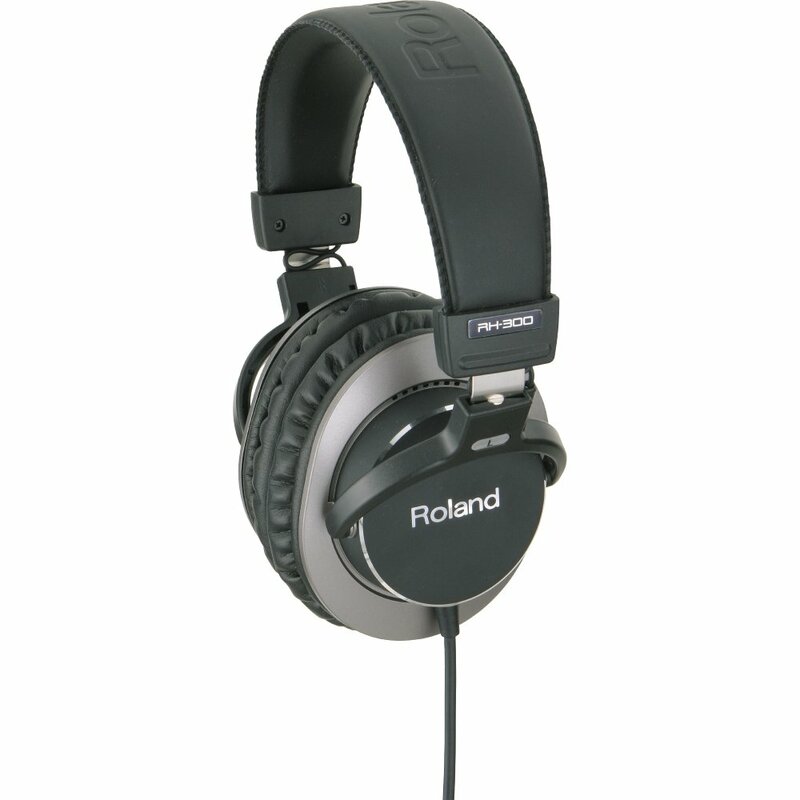 Overall value rating Roland RH-300 headphone set of is 91/100. In general, you can’t make a mistake if you go with Roland, and RH-300 is not an exception. Roland RH-300 headphone set is specialized for electronic drums (V-drums, to be exact). Beyerdynamic‘s DT 770PRO headphones are pretty great for the buck. These headphones boast quite a value for the cash, as they’re outfitted with a set of amazing features. Furthermore, the simplified design makes them easy and comfortable to use while the plain features allow for convenient drumming experience. Now, these headphones come outfitted with a closed design – this provides a substantial amount of comfort when worn, but it also makes room for the “passive noise cancelling” (approximately 35 dBA). This technology is crucial for electronic drum players, as you’ll be able to focus on your drumming without ambient obstructions. Furthermore, there’s a 10-foot cable that’s supplied with the volume control settings and a set of 250 Ohm drivers. The ear pads are exceptionally soft, resting neatly on the spring-steel headband. 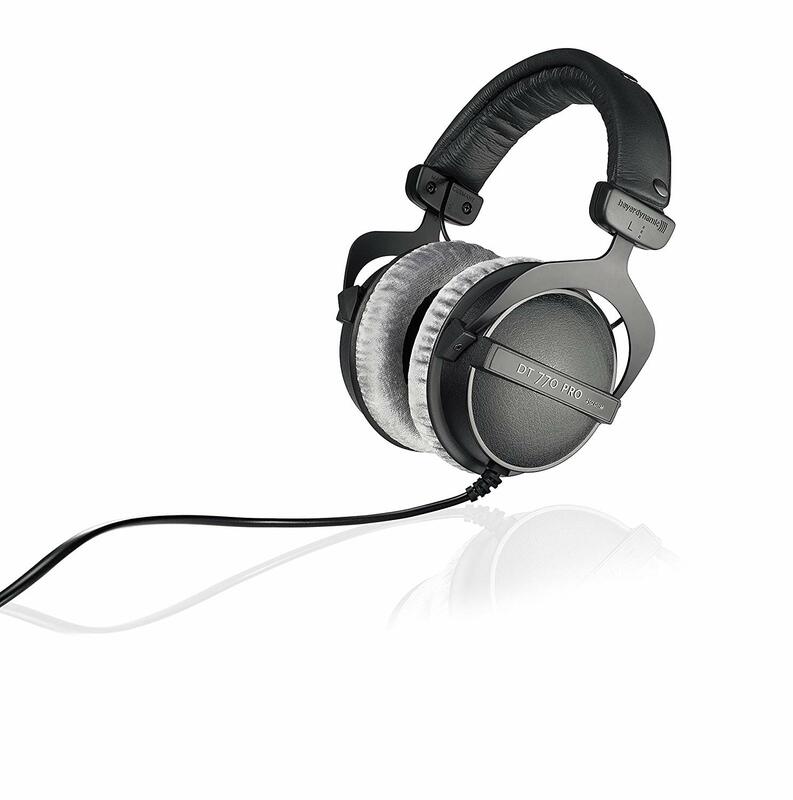 For more about Beyerdynamic DT 770 PRO, check out customer reviews on Amazon. Overall value rating Beyerdynamic’s DT studio headphones of is 88/100. Great noise cancellation, a set of decent features, and a high value for the cash would best describe the characteristics of these headphones. Most people associate Audio Technica with turntables, and rightly so. They’re masters of their art, and their craftsmanship in the music sphere is impeccable and unparalleled. Furthermore, they boast a large catalog of studio headphones, from which we’ve handpicked their ATH-IM70 headphones. Simply put, Audio Technica’s ATH-IM70 headphones are tough, they boast a high-quality sound output, and a set of exquisite features. First of all, let’s discuss the build quality. These headphones feature a composite body design, comprised of a mixture of metal and plastic materials. The detachable cable neatly connects to the earplugs. As for the isolation, there’s a small hole that was purposefully drilled – a pressure relief of sorts. Even though this isn’t exactly a feature, it affects the balance of the construction. Last, but not least, let’s discuss the performance. Audio Technica’s ATH-IM70 boast a powerful bass, and a balanced mid-section. The treble is pretty “natural“ – most people wouldn’t mind a touch of “crispy”, but the balanced solution does the job good enough. All in all, the performance of these headphones is great. 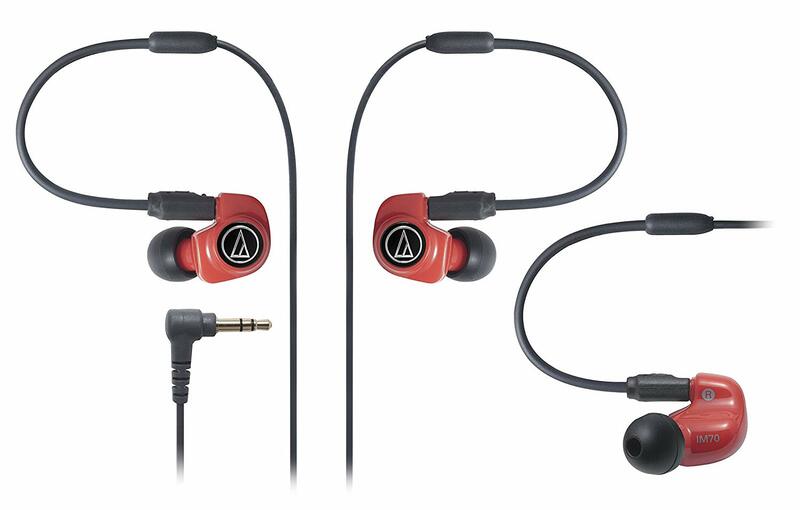 For more about Audio Technica ATH-IM70, check out customer reviews on Amazon. Now that you’ve decided which headphones you’re going to use, there are some topics we wish to discuss with you. It’s only common that a certain product is most frequently used by a certain category of people (D&B musicians, as long as V-drums are concerned) due to the specifics of the item in question. Now, electronic drums and D&B go hand in hand like bread and butter, and we’re here to see why, and recommend our top pick. Drum and bass is a genre of music that is characterized with accentuated electronic music and beats, and is there anything more suitable of doing the job than electronic drums? Of course, it’s both possible and imaginable for a drummer to practice without headphones, but certain types of special headphones will greatly benefit the outcome. Namely, studio headphones are capable of shifting the drummer’s perception of the outside noise, which will in turn smooth up the atmosphere, making it easier for you to practice. Furthermore, the drummer will hear certain parts in songs more easily. Every product in our “best headphones for electronic drums” review is fitting for the job, and, if you haven’t already, we recommend that you check it out in the section above. As we’ve already mentioned, drum and bass is a specific music genre that requires specific gear. One of the main parts would be a set of special headphones. Now, playing drum and bass is one thing, but producing is a totally different world. V-drums are, basically, a variation of standard electronic drums (or electronic drum modules). They’re made by Roland, and they’ve gained a massive popularity boost over the course of past few years. Needless to say, everything we’ve said about drumming in general applies to V drums, only with some adjustments. V-drums are the final letter in the alphabet of electronic drumming, mainly due to the fact that they’re MIDI-capable. They offer a wider variety of options when compared to a standard electronic drum kit, which is more the reason why you should consider a set of high-quality studio headphones. Finding a set of good headphones for electronic drums isn’t that hard, but finding the best headphones for electronic drums can be quite a nightmare. The market is vast, and the competition is stiff, so you’ll encounter a variety of low-to-high end headphone sets. If, by chance, you don’t have experience with tech gear, you’re in trouble. At least, you would’ve been in trouble have you not stumbled upon our review, that is. Jokes aside, we hope that you’ve found our review as helpful, be sure to check our beginner drum set guide, Our Picks for Double Bass Pedals and top choices for drum thrones. We wish you luck in your search for the best headphones for electronic drums.